At last the XPRS Mobile DJ stand is now here and in stock at Flightcase Warehouse. Althought there have been a few delays, we have to say that it was well worth the wait. Lightweight, portable, and can be set up in less than 5 minutes by one person, this is truly a revolutionary DJ Booth, and it has been designed and made in the UK (for a nice change!!) 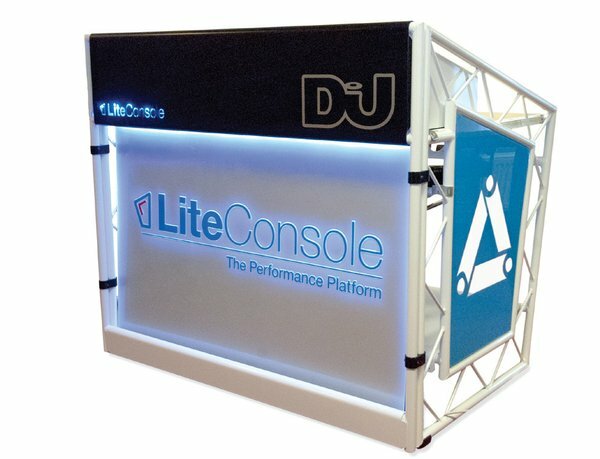 by Prolyte (formally Litestructures) who have an immense knowledge of manufacturing DJ consoles. To keep the weight down all three table tops have been made out of virtually indestructable Black ultra high density ABS plastic. 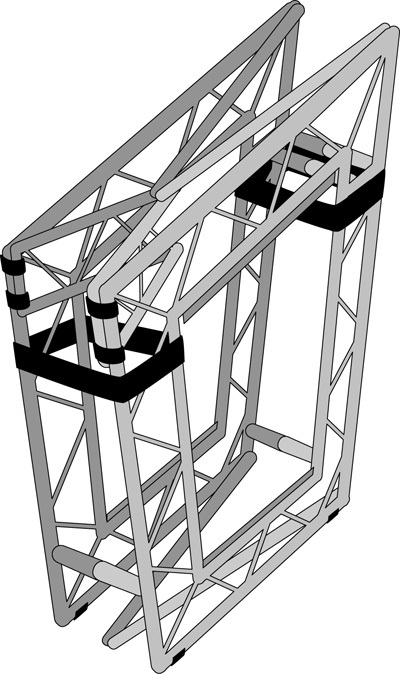 The Console comes with as standard a front and two side perspex panels and a top aluminium panel. All panels can be lazer cut with logo's etc to enhance your corporate image. 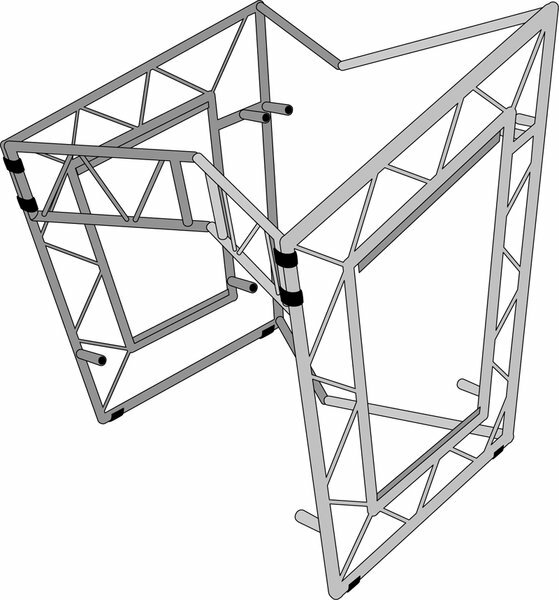 There is a selction of accessories available for the DJ Console, including a truss goalpost for mounting lighting etc...floor standing plasma mounting bracket. The console comes in standard aluminium finish, black or white. Pantone colours are also available on request. All in all a very professional piece of kit for either the part time, or fully fledged DJ, can easily be transported in the car and quick to set up.